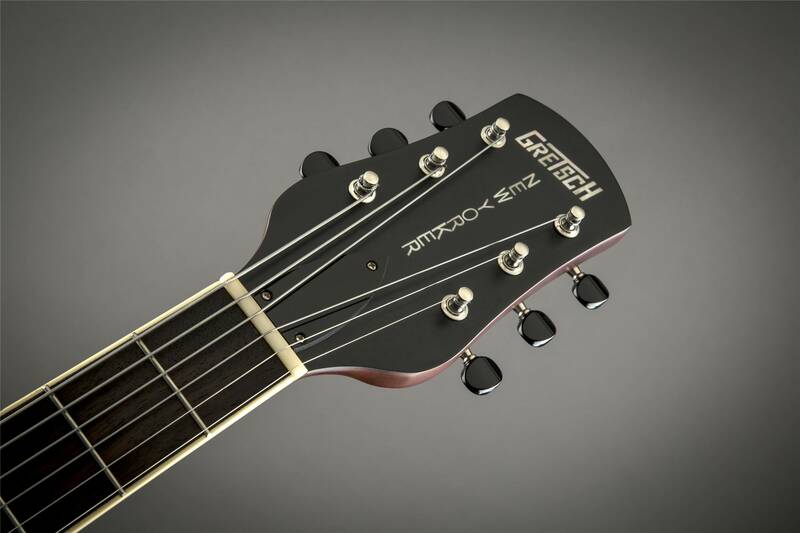 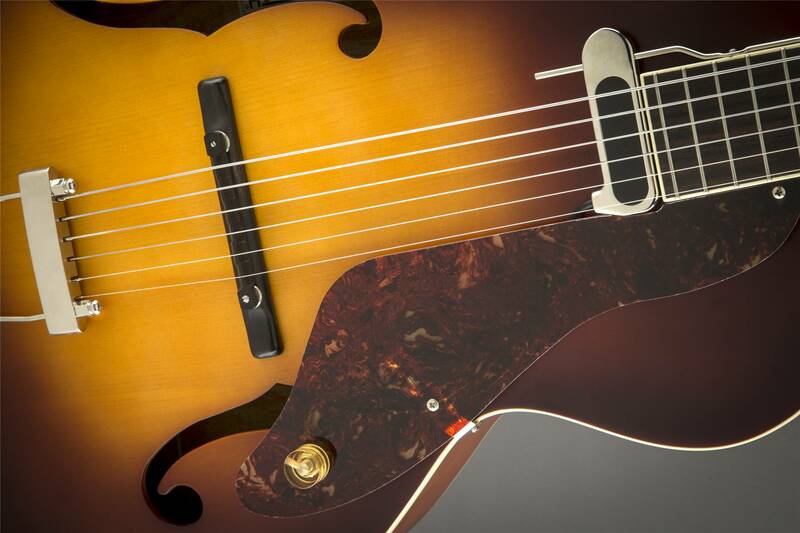 The classic 1950s Gretsch New Yorker™ archtop guitar returns! 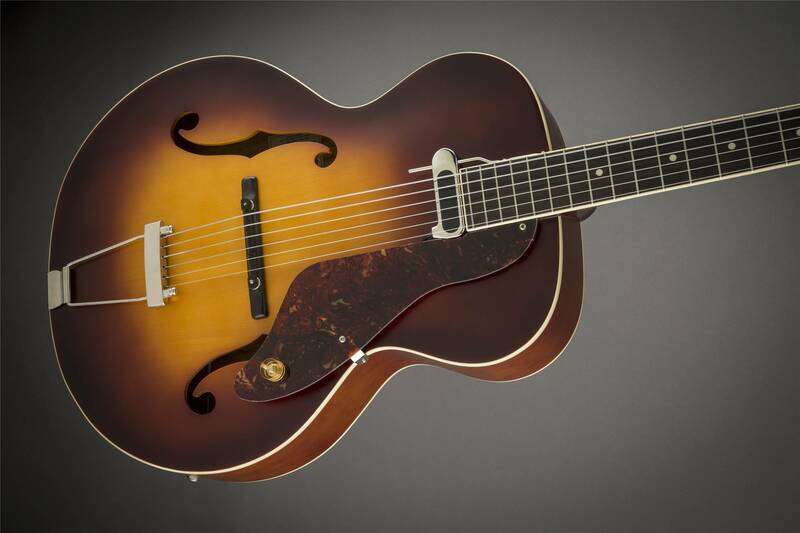 From casual playing to pro performance, this grand auditorium-size archtop will be your new favorite for its excellent tone, effortless playing action and handsome good looks. 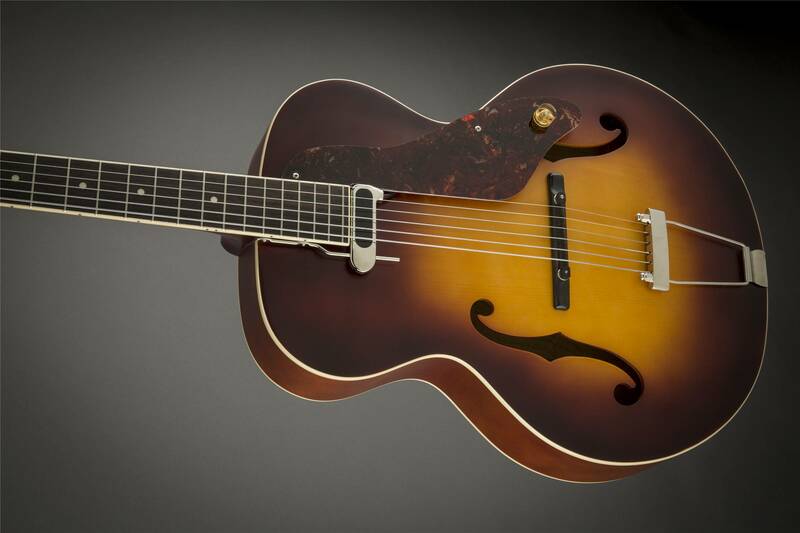 Features include an arched solid spruce top, laminated maple sides and arched back, custom wound vintage-style single-coil pickup with rubberized magnet, vintage-style "V"-shaped mahogany neck profile, padauk fingerboard, 25" scale, compensated ebony bridge with trapeze tailpiece and nickel hardware.